Have you got that organizational bug? We've been cleaning out and decluttering. In our office, I like to have a calendar near by when I'm working on the computer and projects. Just something small to refer to. 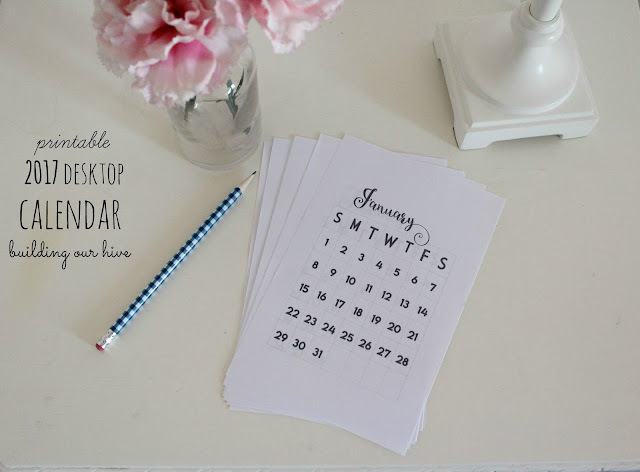 I've made up this printable 2017 desktop size calendar to share with you! Two months to a sheet of paper. Hang on a cork board, clip in a frame, or leave on your desktop. I could always use a calendar! Thank you for sharing at Merry Monday! Me too. I have to have one handy to refer to all the time! Thank you so much for sharing this! This is absolutely perfect for what I was looking for to have on my desk! I'm so glad you like and can use it Karen! Have a great week! 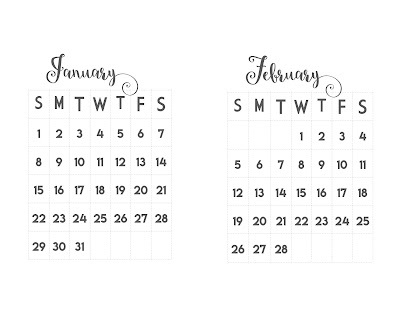 I love calendars, planners and basically all office supplies! 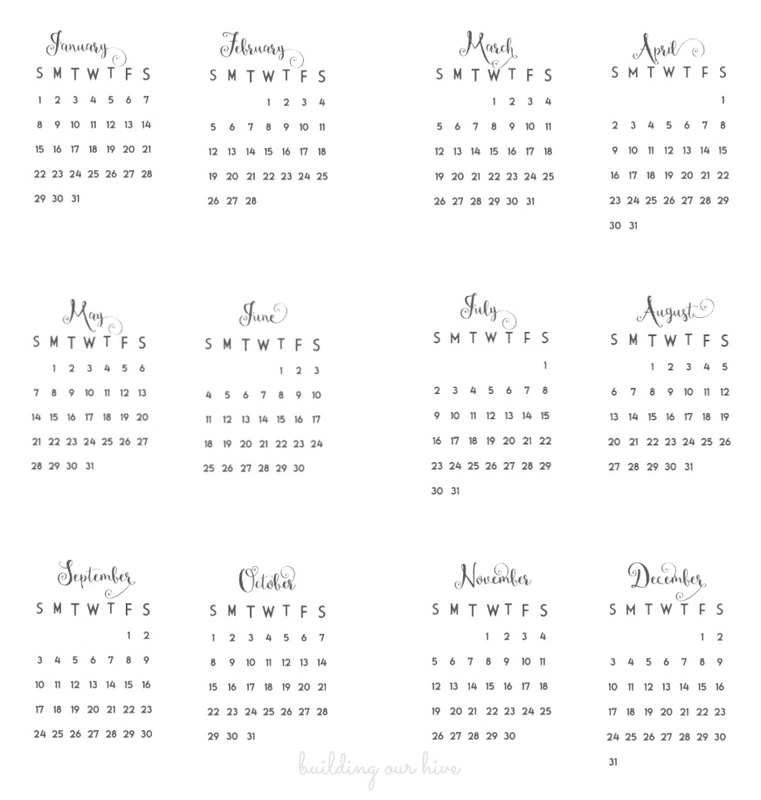 Thank you for sharing your cute printable calendar. Thank you! It's always a help in staying organized with something cute that you love. Thanks! 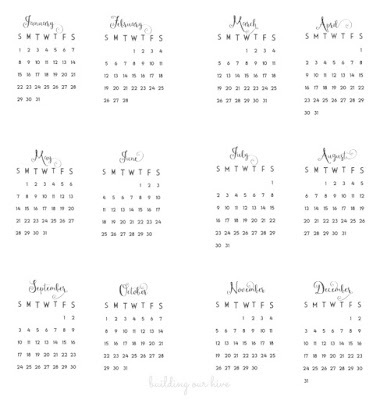 I adore the calendar, so pretty, and yes, this time of year it's great to declutter and organize! Thanks so much for sharing at Sweet Inspiration!! Thanks for stopping by! 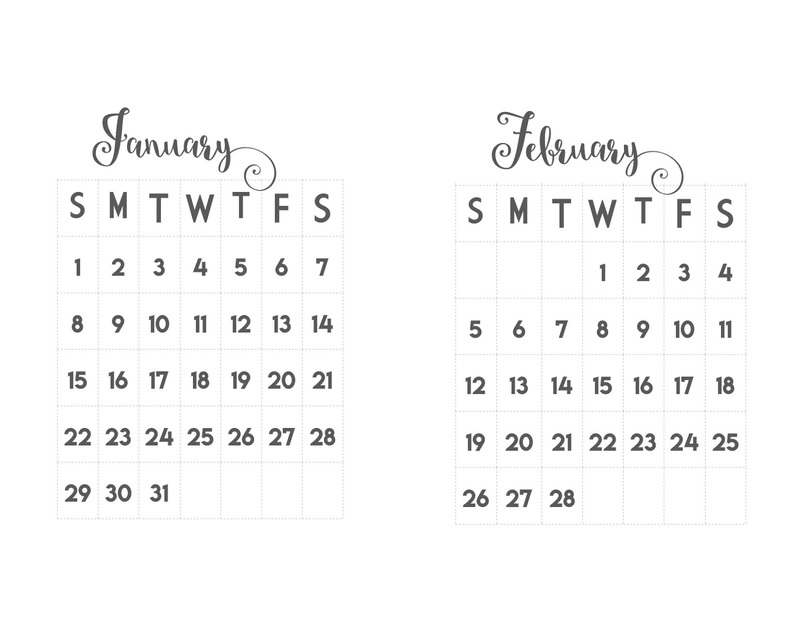 Glad you love this little calendar as much as I do! This calendar is nice and so pretty! So good to host Funtastic Friday with you. Thanks Donna! It comes in handy as we organize each week! It's a pleasure to host with you!